Sumac! Fresh Sumac! You know, that zesty, unusual spice that gives Za'atar it's tang and adds a middle eastern flair to roasted veggies? Excitement poured over me when I found out that I was going to be receiving some fresh sumac in my Lufa produce basket last week. I've never even seen fresh sumac before. I had no idea that it would arrive as a fluffy, barby, vividly red cluster of... stuff. 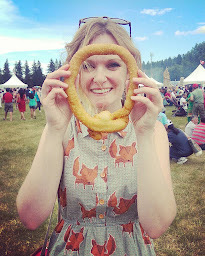 My first thought upon examining the bright bouquet: how do I use this? Unsure of which part of the fuzzy berries could be turned into the sweet, lemony herb that I've only ever seen dried and crushed, I turned to my trusty friend, the internet. Internet, o internet, inform me, o wise one! During my search, I learned that Sumac has been used in ancient herbal medicine for centuries, aiding in the prevention and treatment of various ailments, from chest congestion to stomach upsets. Well, this is just perfect timing, I thought, as I just happen to be suffering from what seems to be the world's longest bout of fever and joint aches. Also probably a good tonic to give the boy to sip on to prevent catching this dreadful flu. Influenza, be damned! I will sumac you right in the face! Now, let's get back to the "how?" Having only eaten sumac in savoury dishes, I would never have thought to use the spice in a beverage of any kind. 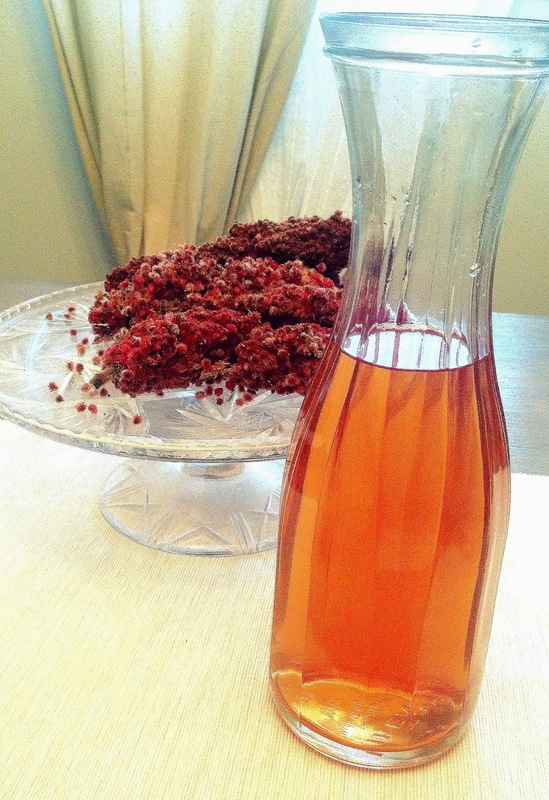 That is, until I stumbled upon a blog that suggested that I make Sumac-aide! 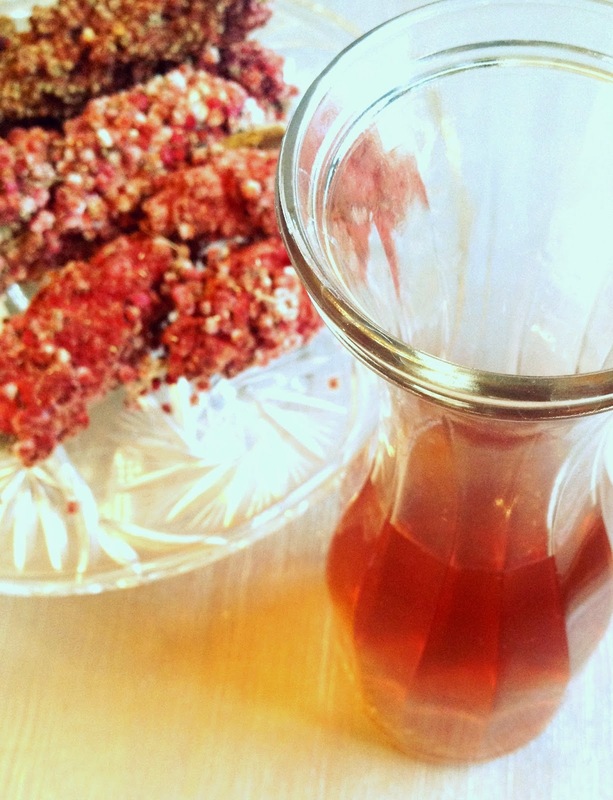 (Also known as cold sumac tea, sumac lemonade, or sumacaide... depending on who you ask!) This lemony fresh tonic is super easy, and super tasty! How to do it? Soak fresh berries in cold water. Strain. And drink. That's it? That's it! How perfect is that? Add a squeeze of fresh lemon and a few slices of ginger for some extra immune-boosting power, and extra tasty flavour. Roughly break up sumac clusters. In a large bowl, combine water, sumac and ginger and let steep for 4 to 5 hours or overnight. Strain though very fine tea strainer or cheesecloth. Add freshly squeezed lemon and ice cubes just before serving.